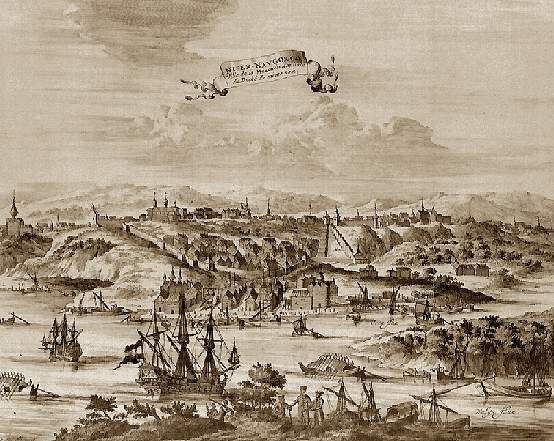 View of Early St. Petersburg. 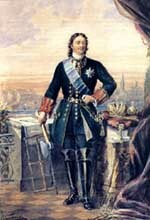 L. Karavakk. 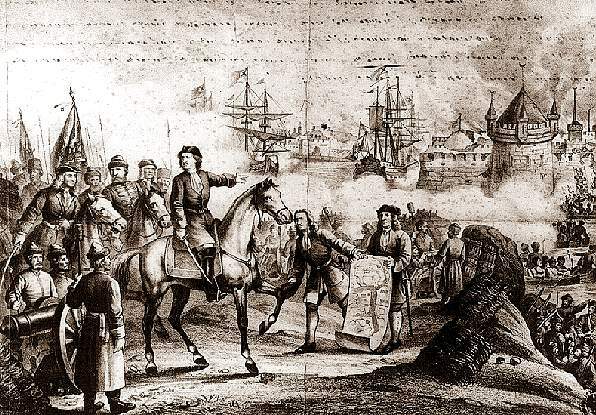 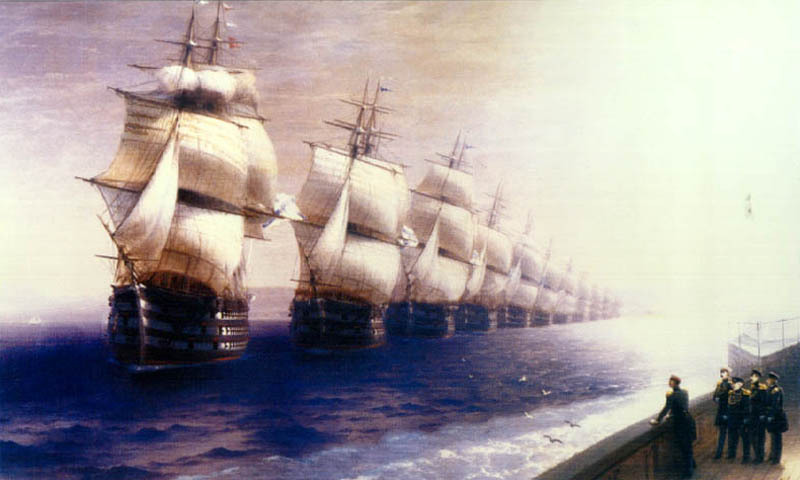 Peter I Commanding the Four Allied Navies, 1716. 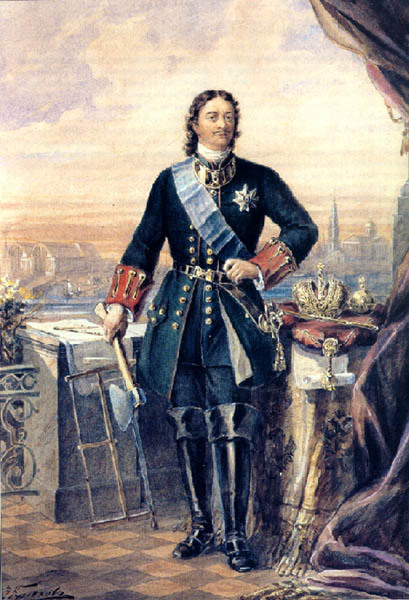 V. Kriukov. 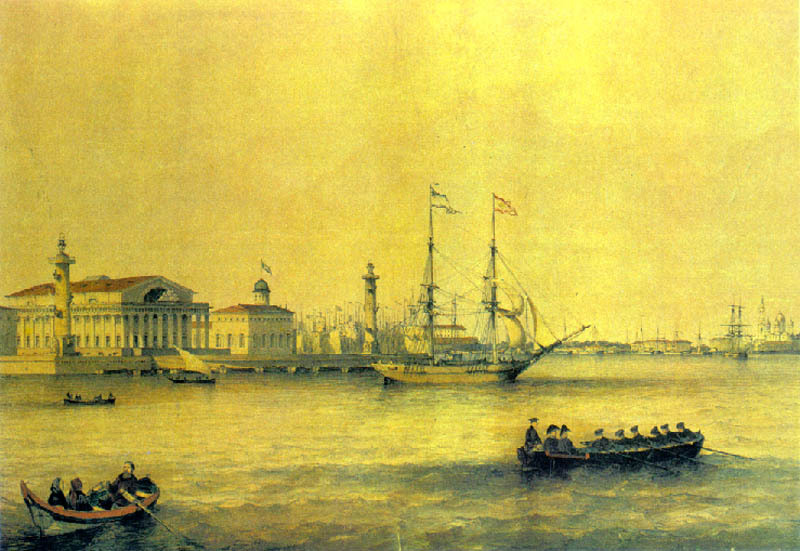 The Portrait of the Emperor Peter I.
Peter and Paul Harbour viewed from the Sea. 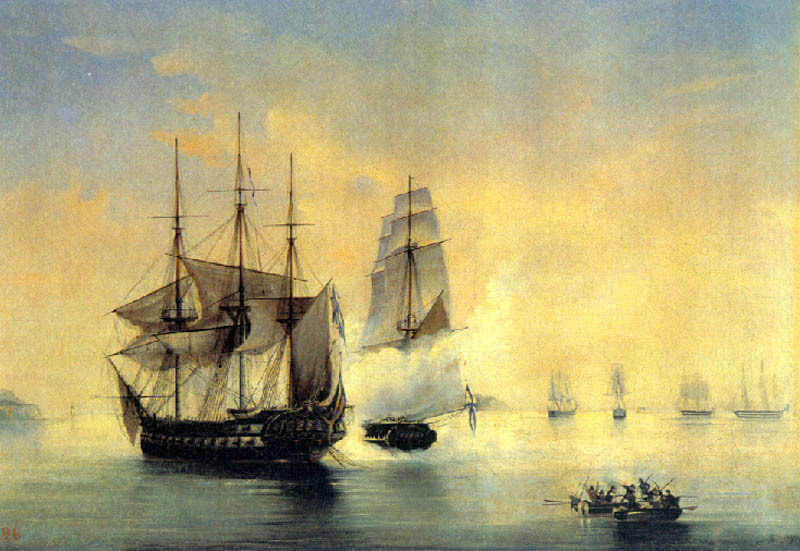 The Armed Gutter "Mercury" Capturing the Shvedish Frigate "Venus" on 21 May 1789. 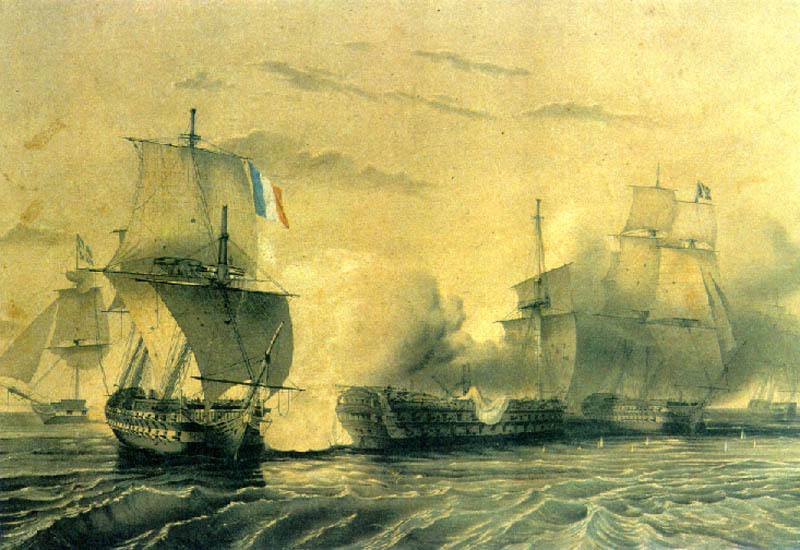 Battle between British and French Ships. 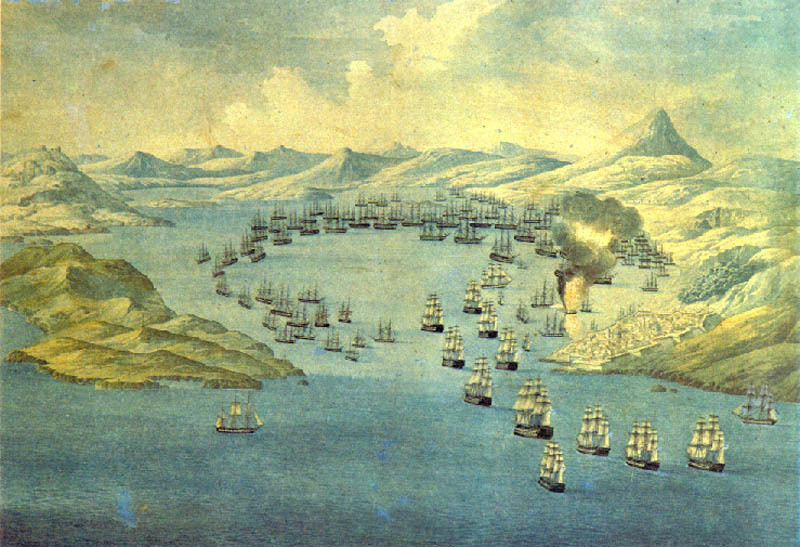 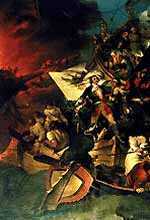 Battle of Navarino. Spit of Vasilyevsky Ostrov. 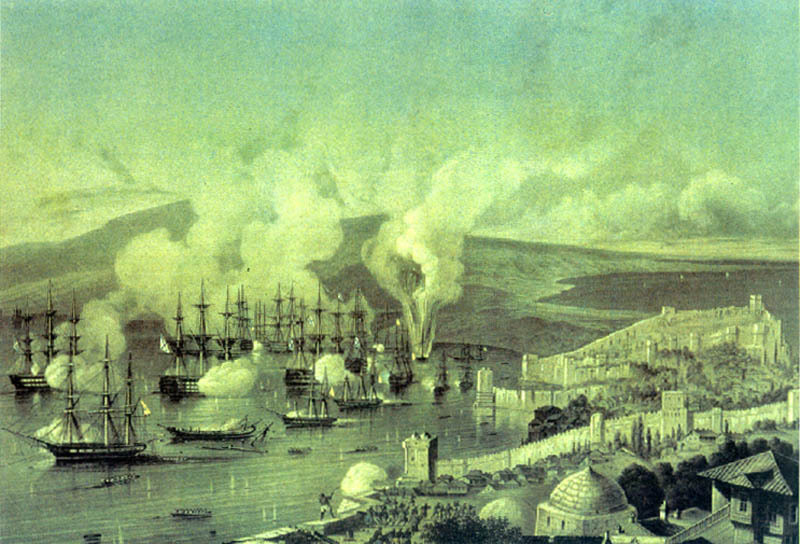 Sailing Fleet near the Sevastopol's Coast. 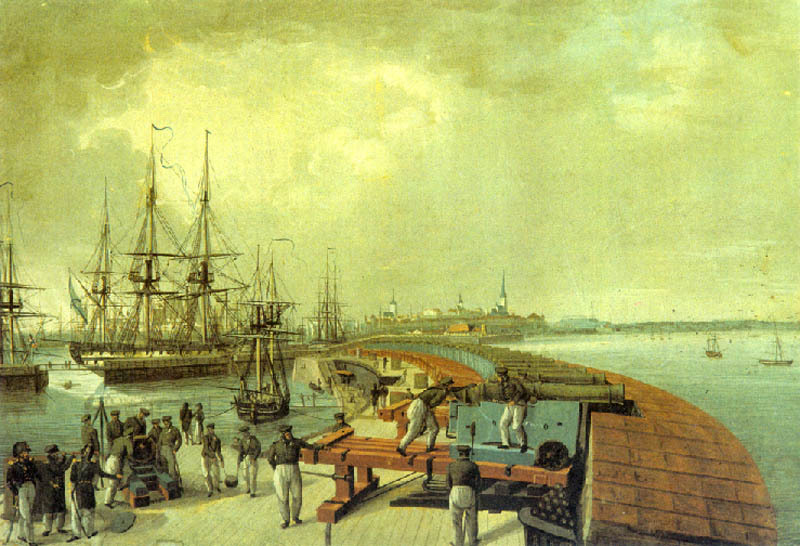 Revel's Coastal Battery. 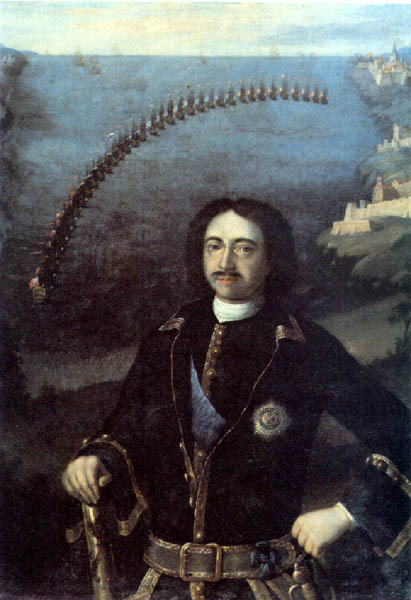 R. Sudkovsky. 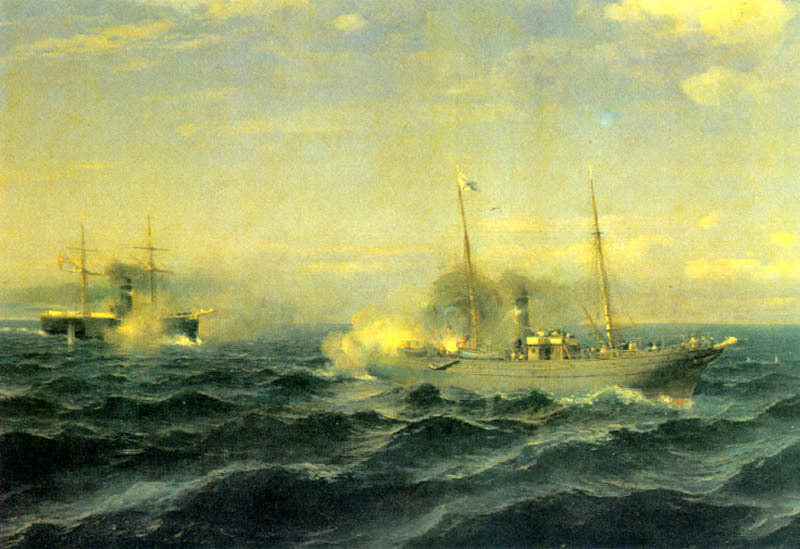 Battle between the Steamer "Vesta" and the Turkish Ironclad "Fetkhi-Bulend" on 11 July 1877. 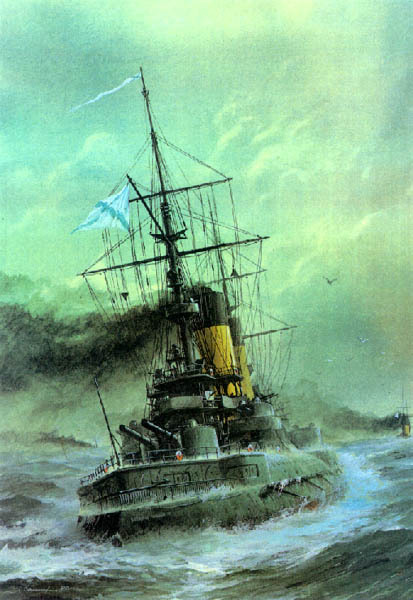 The "Tsessarevich" Fighting in the Yellow Sea A. Zaikin. 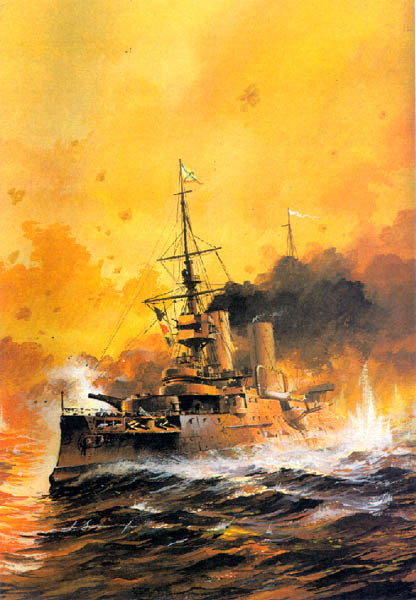 The Ironclad "Imperator [Emperor] Alexander III" ("Borodino" class). 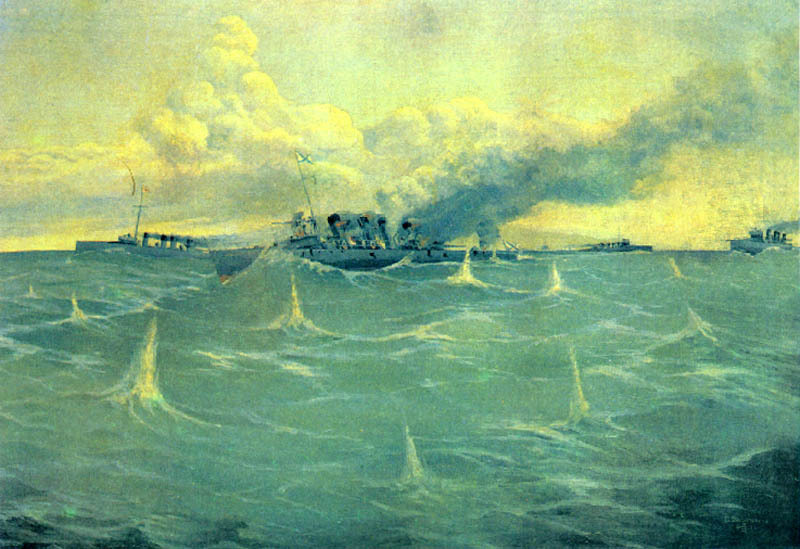 Heroic Battle of the Torpedo Boat "Steregushchy" against Japanese Ships, 26 February 1904. 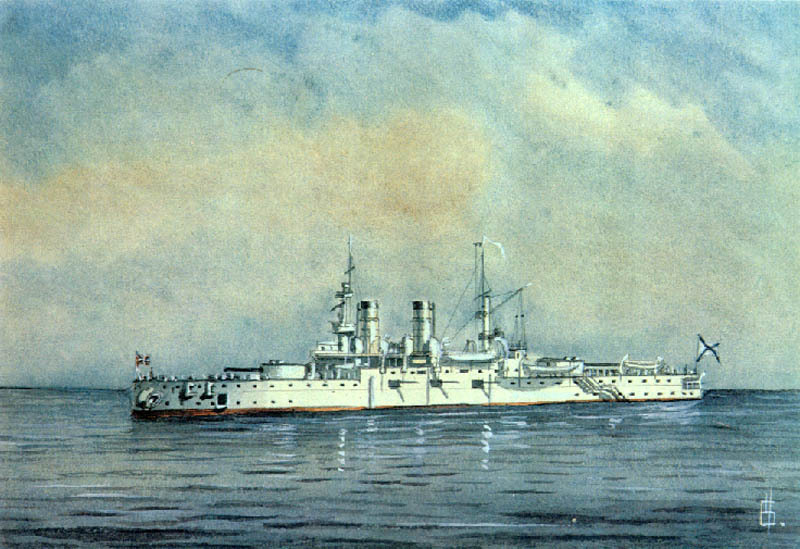 The Ironclad "Sisoy Veliky". 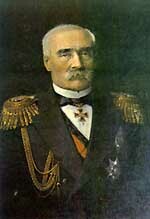 A. Ganzen. 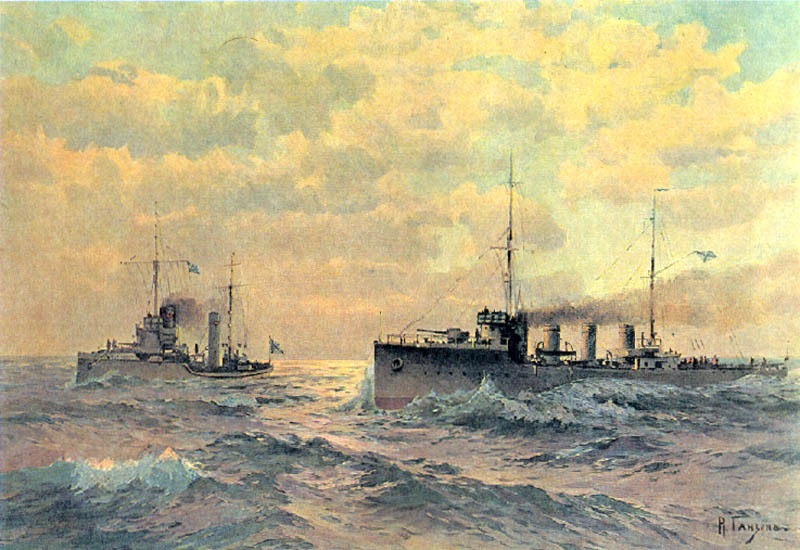 The Squadron Torpedo Boats "Finn" and "Novik". 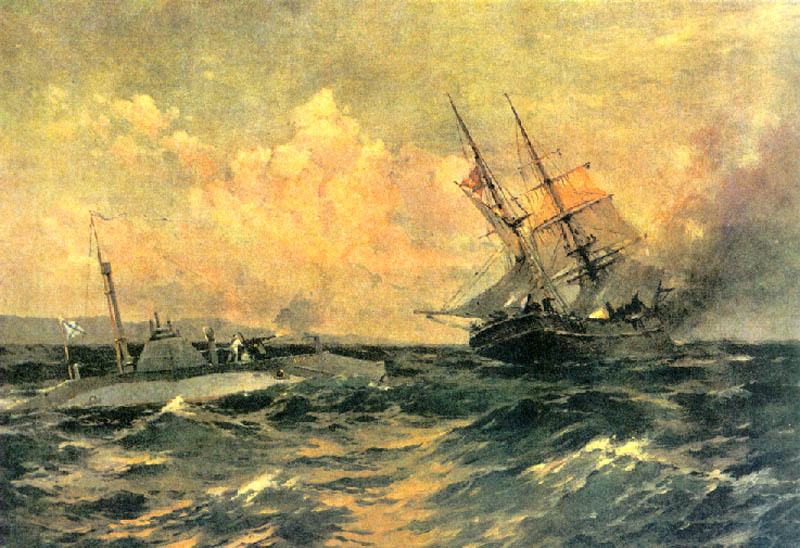 Submarine during Conflict. 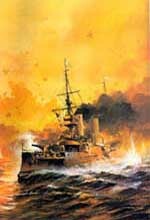 I.K. 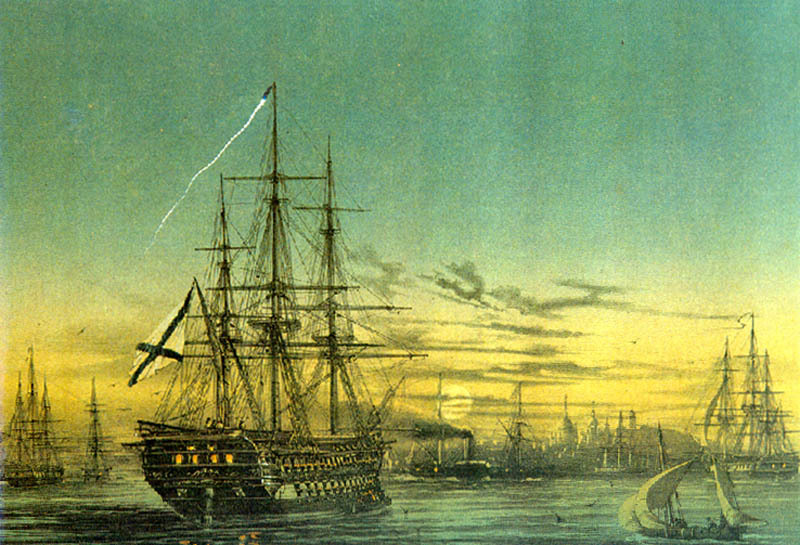 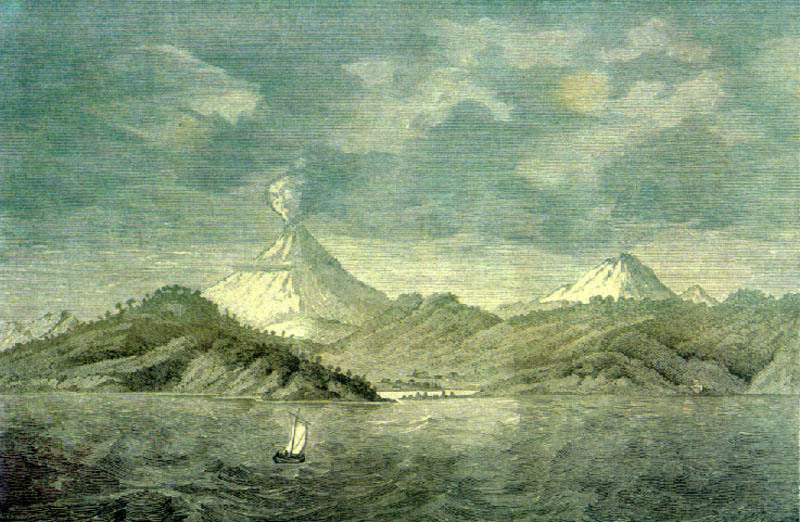 Aivazovsky. 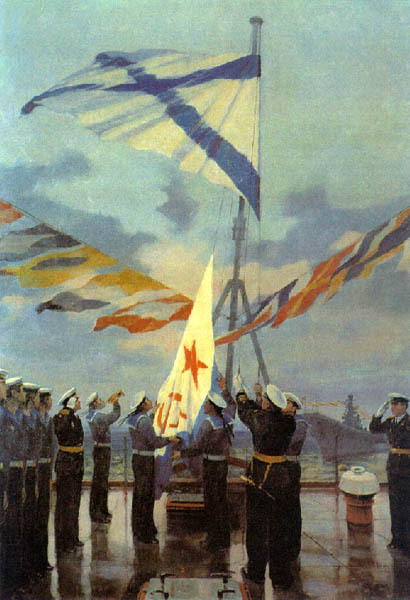 The Black Sea Fleet Parade. 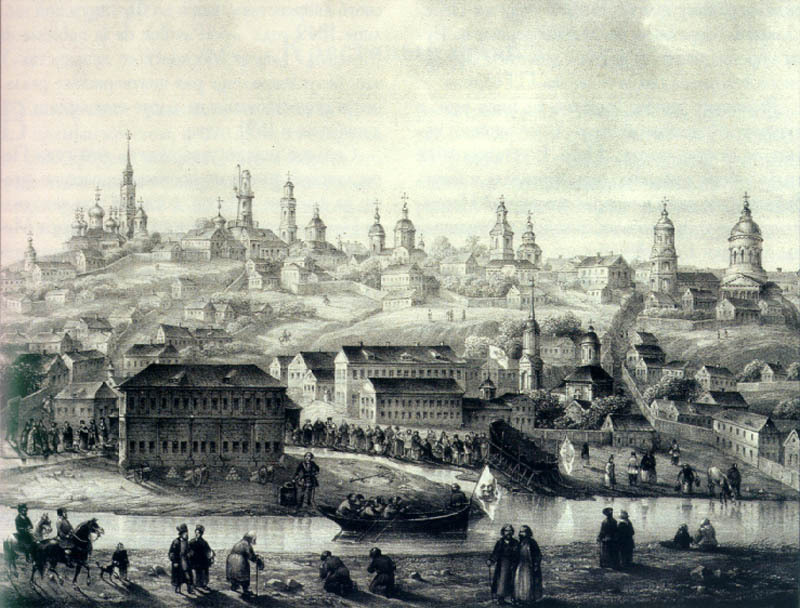 The sity Voronezh viewed with Peter I Palace and tseiggaus. 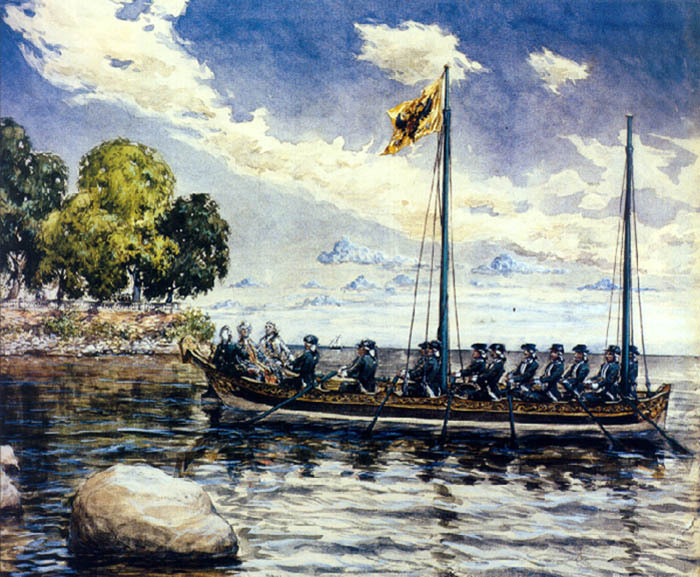 The boat under Emperor flag. 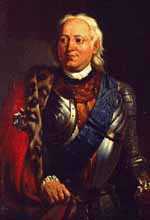 A. Bogolyubov. 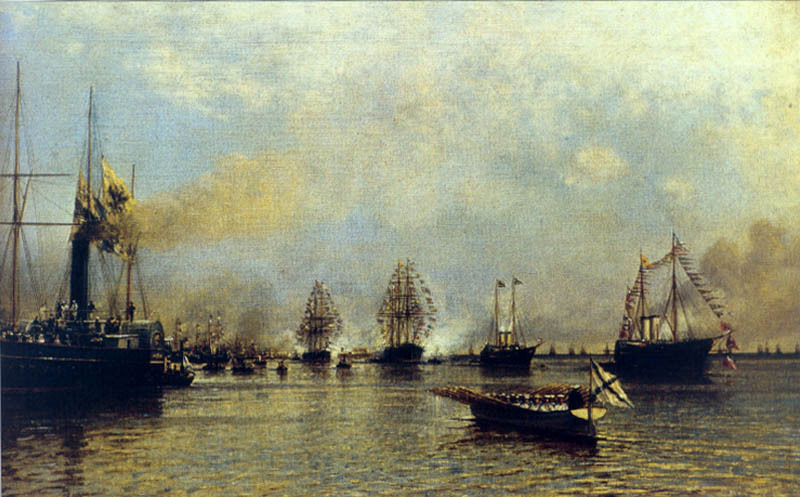 The Baltic Sea Fleet Parade for a greeting German Fleet in Saint-Petersburg, 1888. 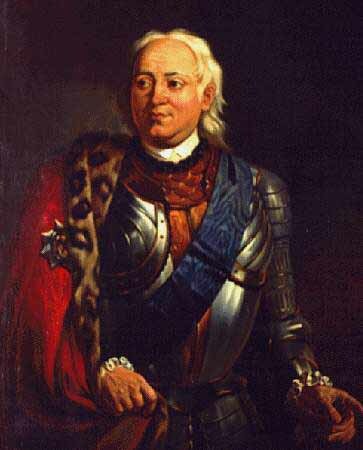 A. Zubov. 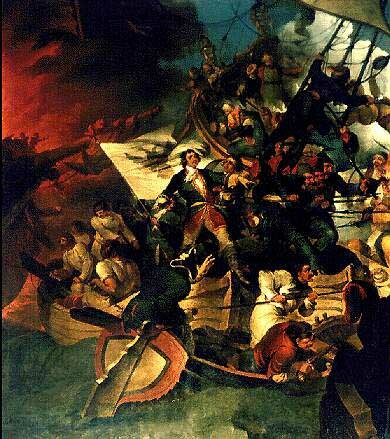 The Grengam Sea Battle, July 27 1720. 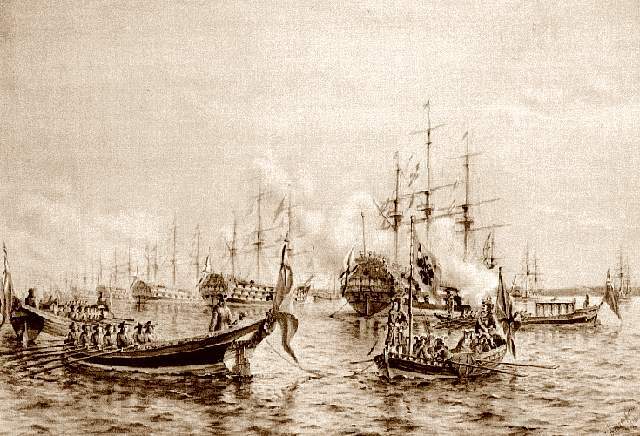 Second Squadron anchoring in Nosi-be Harbour, Madagascar. 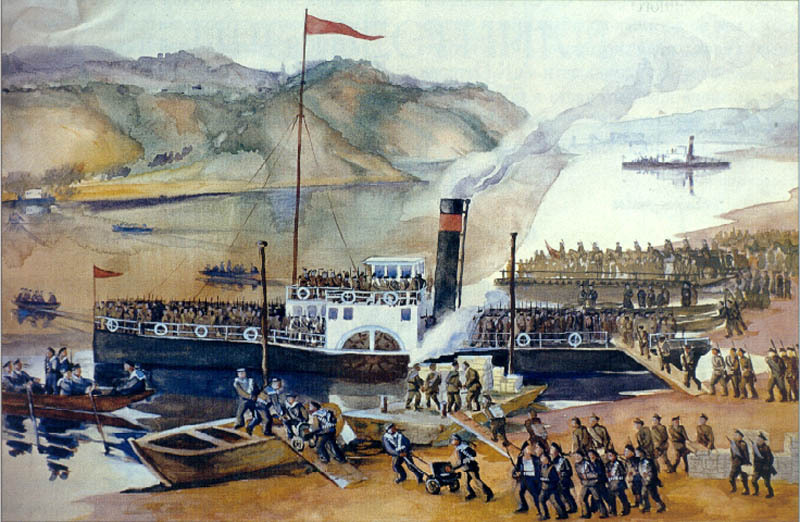 Red Army division ferry through the river Belaya (White) near Sity Ufa by ships of Volga River Squadron. 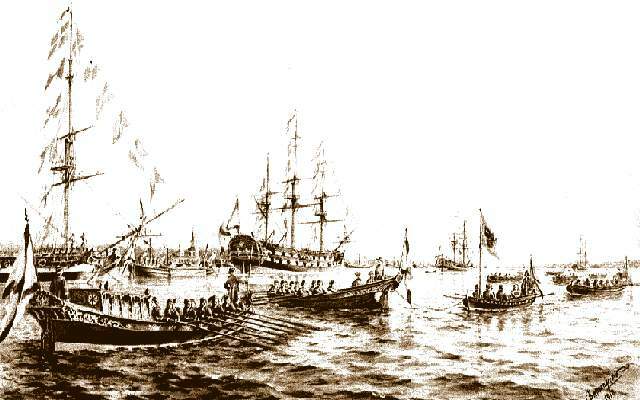 Descent to water three ships on the Malta Shipbuilding Yard, May 3 1800. 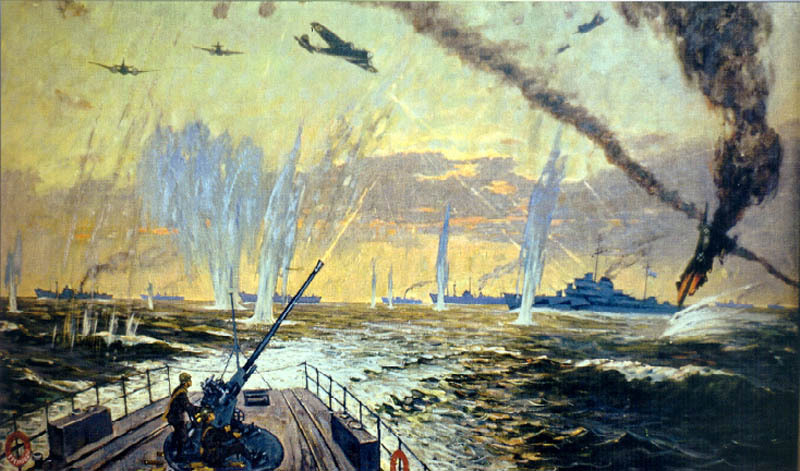 Actions Destroyer "Gremyaschy" against fascist planes, during WWII. The Baltic Sea Fleet 1912. 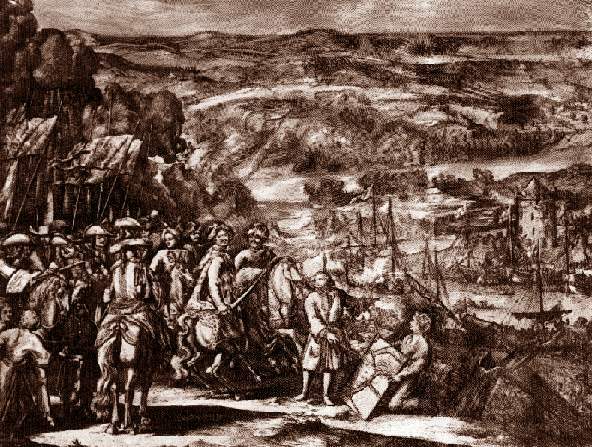 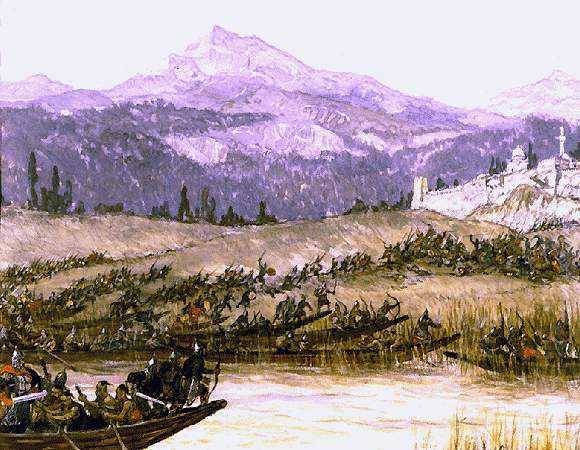 Siege of fortress in 1696. 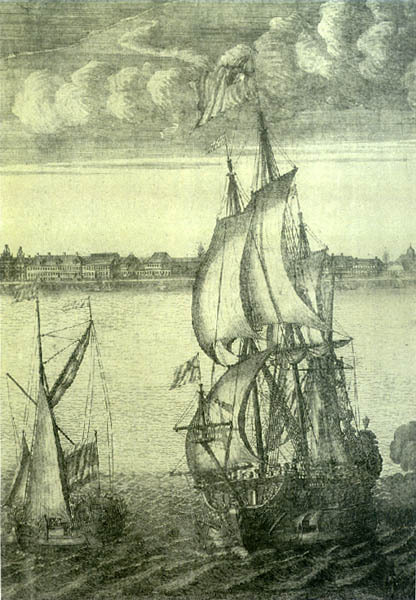 Engraving of the unknown painter. 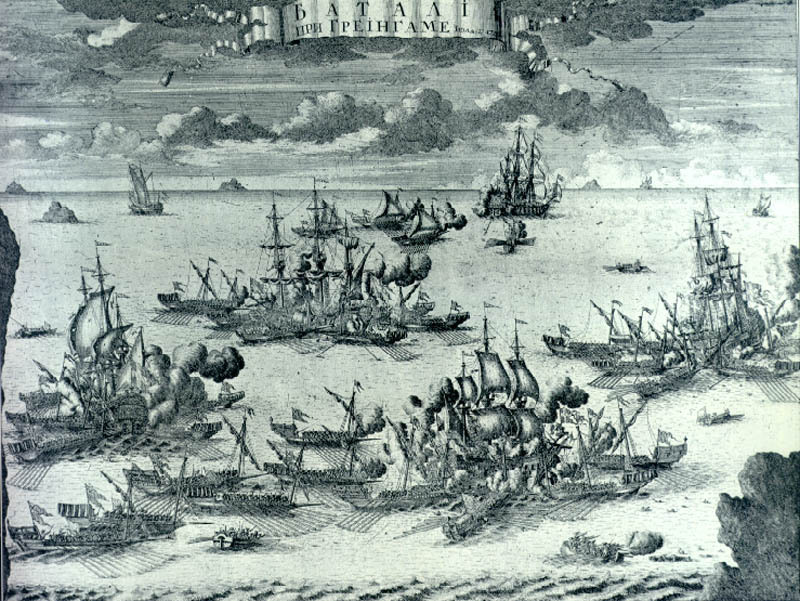 Siege of fortress in 1696.